Abraham Lincoln made a huge impact in history. People still quote his sayings. 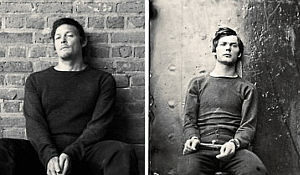 The latest movie to chronicle a part of his life and tragic death is named The Conspirator. This movie is based on the true story of Abe’s famous assassination and is directed by the Oscar-winning director Robert Redford. This particular view looks at the courtroom battle that was waged against Mary Surratt. She was the only female charged in the murder of the president. Cast for the film include: Robin Wright, James McAvoy, Kevin Kline, Tom Wilkinson, Evan Rachel Wood, Alexis Bledel and Justin Long… and I will also include here that Norman Reedus (The Walking Dead) also has a role as Lewis Payne. Fans commented on the amazing likeness of him and his character. In the wake of the assassination of President Lincoln in 1865, a country mourns its leader, and eight people are charged with conspiring to kill the President, Vice President and Secretary of State. The lone woman accused, Mary Surratt (Wright), owns the boarding house where the attack was planned. Faced with a certain death, Surratt’s only hope comes in the form of a newly minted lawyer and Union war hero, Frederick Aiken (McAvoy), who reluctantly agrees to defend Surratt before a military tribunal. As the courtroom trial unfolds, Aiken realizes his client may be innocent and that she is being used as bait in order to capture the only conspirator to have escaped a massive manhunt, her son (Johnny Simmons, Scott Pilgrim Vs. The World). 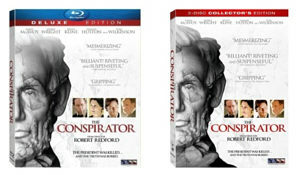 There are currently 1 Comment on The Conspirator on Blu-ray, DVD & Digital Download on August 16. Perhaps you would like to add one of your own? ~ Very intense. !……definitely a “must watch” for sure….